What is intuition? What constitutes an intuitive process? Why are intuition concepts important? After many years of scholarly neglect, interest in intuition is now exploding in psychology and cognitive science. Moreover, intuition is also enjoying a renaissance in philosophy. Yet no single definition of intuition appears in contemporary scholarship; there is no consensus on the meaning of this concept in any discipline. 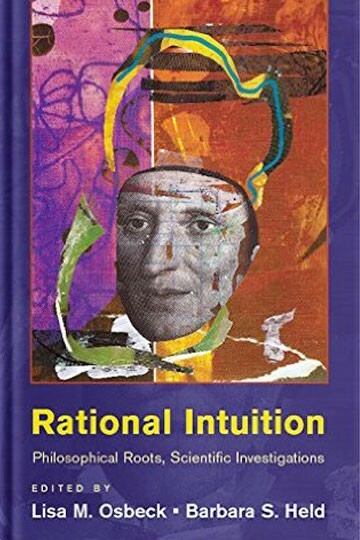 Rational Intuition focuses on conceptions of intuition in relation to rational processes. Covering a broad range of historical and contemporary contexts, prominent philosophers, psychologists, and cognitive scientists explore how intuition is implicated in rational activity in its diverse forms. In bringing the philosophical history of intuition into novel dialogue with contemporary philosophical and empirical research, Lisa M. Osbeck and Barbara S. Held invite a comparison of the conceptions and functions of intuition, thereby clarifying and advancing conceptual analysis across disciplines.